When compared to the satisfying closeups of local wildlife posted of late, today’s image of a mountain goat is, er…, only so-so. Alas, mountain goats live in a world that rarely intersects my own: They habit the steep faces of rocky cliffs. Not often am I near their world, and when there, I rarely see one. 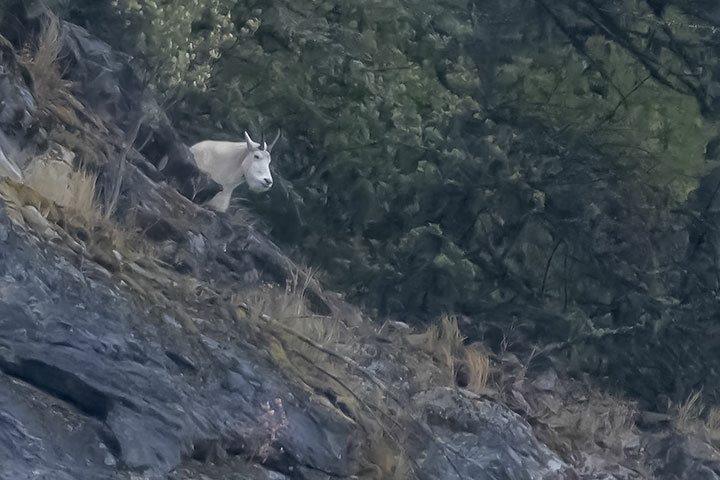 A mountain goat briefly looked down from the top of a cliff over 300 metres above me.